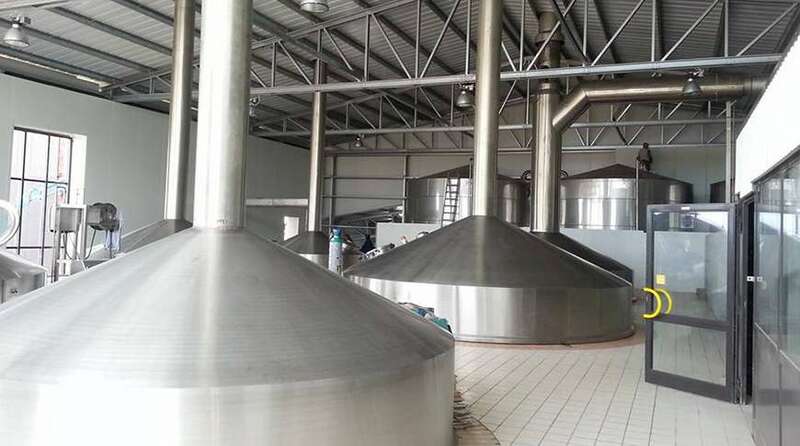 Bralico, located in Pointe-Noire, Congo, is a large brewery that produces some of Africa’s finest beers and lemonades. 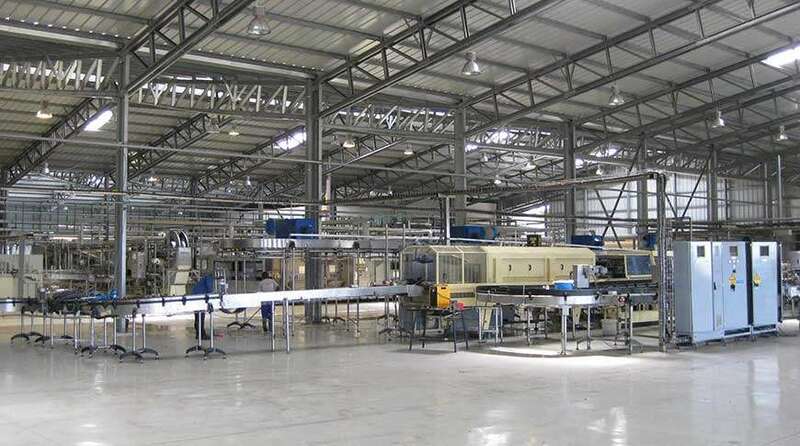 As the business expanded, production needed more space. 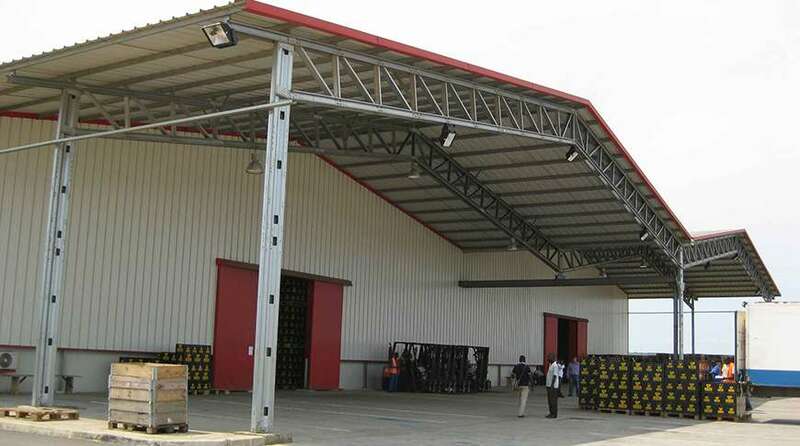 The entire brewery consists of 11 prefabricated steel buildings. The plant is home to several brewing halls, cooling tanks and office spaces. Most of the buildings have roof lights to let natural light flow in, and are fitted with large sliding doors. Frisomat steel halls are especially interesting for breweries and chemical plants, because we only use galvanized steel. This material doesn’t react with most liquids and gases, and is easy to clean after a spill.